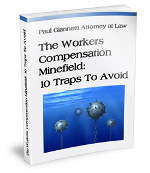 Workers’ compensation in New York is one of the most complex types of law. There are numerous steps that individuals suffering an injury at work need to take to receive adequate care and compensation for their losses. A number of forms is among this process, including the MG-2 NYS workers’ compensation form. What is MG-2 NYS Workers Compensation Form? The MG-2 NYS form (Attending Doctor’s Request for Approval of Variance and Carrier’s Response) is designed for and completed by the healthcare provider. This form allows a worker to request more than one test or treatment that is outside of or exceeds the Medical Treatment Guidelines. How Does This Align with New York’s Workers’ Compensation Variance? The Medical Treatment Guidelines are the “standard of care” rules for injured workers in New York. These guidelines are related to neck, back, shoulder, and knee injuries that an employee may sustain during the course of work. 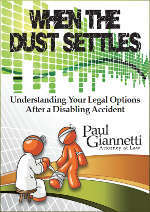 The guidelines also provide an in-depth process for providing an injured employee with the care he or she needs. When a healthcare provider follows the guidelines set forth, the care is approved and authorized by New York’s Workers’ Compensation Board. In some situations, however, the healthcare provider may determine that the care the patient needs is outside of these requirements (which is where the MG-2 form comes in). In that type of situation, the insurance carrier is not liable and does not have to pay for the care provided outside of the guidelines. To avoid this, the healthcare provider must complete the necessary documents to request a variance for the care proposed. What Happens After Filing This Report? The carrier may require an independent medical examination by a third-party provider to determine if there is a need for this type of care beyond what the guidelines state. Or, the patient may try to work out these terms with the insurer and health care provider. It is possible to file a request for a hearing with the New York State Workers’ Compensation Board if a decision can’t be made or the insurer denies the claim. Because this process is complex and time-consuming, we recommend that you have an experienced workers’ compensation attorney by your side. This attorney will be with you during your hearing with the Board or when there is a concern about the insurer denying care. Individuals hurt on the job in New York deserve adequate representation and financial support for the losses they suffer at the hands of their employer. With our experienced team at Paul Giannetti Attorney at Law, you get the legal support and aggressive legal action you need. Contact us today to schedule a free consultation to discuss your case, or call us at 866-868-2960.